Can I Count on Mail to a Bad Address Bouncing Back? - Ask Leo! If you send email to an invalid address or a closed account, usually you'll get a bounce back. Usually. But you cannot count on bounces. 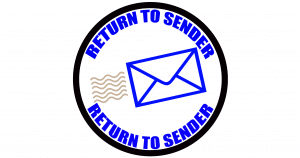 Will email that I send bounce back to me to let me know if the recipient’s email address is closed or no longer exists, or will it just go out into space never to be seen again? Just to be clear, “bounce” is the term we use when email we send causes an error message (also in the form of an email message) to be returned. Usually, though not always, the error message includes the original email. The email you sent has not been delivered, and is thought of as having “bounced back” to you. Hopefully, the error message contained in the bounce gives you information as to why it bounced. What is this “closed” you speak of? The user stopped using it. Email will still be successfully received, and simply accumulate. There’s nothing here that would cause a bounce. The user could have “closed” the account, but the ISP hasn’t released or actually deleted it yet. Email may still accumulate, without bouncing, until cleanup happens after some period of time. The account exists, but is actually, honestly, closed. The account no longer exists (or never did). While some of those things you might think of as being “closed”, not all of them will cause a bounce, and in fact none of them are required to cause a bounce. With the ever-increasing influx of spam, many ISPs choose to ignore mail destined for invalid or closed destinations. Why? To avoid flooding the internet with even more noise. You’ve probably received bounce messages for email you didn’t send. Spammers have “spoofed” the email such that it looks like it’s coming from you, and then blasted it out to anything they can find that looks like an email address. Some ISPs generate bounces if those addresses are invalid, and that’s what you’re seeing. Other ISPs don’t generate bounces, since they’re as bogus as the spam that caused them. So, the bottom line here is that an ISP may, or may not, return a bounce on an invalid email address – or on any error, for that matter. Because so many bounce messages are the result of spam, even if a returning bounce message is the result of some email you actually did send, some spam filters are now filtering those bounces out as spam. So even if the recipient’s email provider does send a bounce, there’s actually no guarantee you’ll get it! Now, lest you give up all hope, I will say this: most of the time, bounces are generated and received and work pretty much as you expect. But the problem is that you can’t count on it. If you send an email to someone and don’t get a bounce, that tells you nothing. They could have received the email, or not. You can tell if they got it only if they reply or somehow act on the information you included in the mail. Desperately Seeking Closure - I often hear from people who want to close an email account for one reason or another - often they're quite desperate. The problem is that closing an email account is very often the wrong solution to their real problem. What Does “Mailbox Unavailable” Mean and How Do I Fix It? - "Mailbox unavailable" is a common email bounce message that actually says very little. I'll review some of the more common causes of "mailbox unavailable". « Previous post: Will I Lose My Email If I Don’t Check It For a While? I personally like when it bounces back. Just today at work, an email I sent to my boss and two of our vendors got bounced back. Looking at the reason given, I quickly saw that I had spelled the address wrong by 1 letter. Was able to resend it with the correct address..wow…Now I don’t have the 300lb purple gorrilla called a boss banging on my desk. hahahaha. Thanks Leo for the tips. Since the prospect of a bounce is so iffy, it’s too bad we cannot offer an incentive similar to how the US Postal Service does it. My idea would be to join a service and receive an account number. Then, if I wanted to ensure notification of a mis-addressed eMail, then I’d simply flag the eMail with my account number. If it’s bad, then the ISP, by bouncing it *to the service,* would later be reimbursed for its trouble. This could be done any number of ways with the main goal being to reduce the money-handling costs. I want to my email that i send one hour ago to not be read by the person that i sent hem email. How to able to solve this problem.Thanks. You cannot. Once email has been sent, it is out of your control. If someone requests you to send an email to their address and it bounces, do they have any access to that in order to add a viris? They could certainly make something that LOOKS like a bounce that also has a virus. still go or could it bounce back as not being available? If you were sending “from” the address … it may well go through. But they’ll be unable to reply. Thank you for the clear and comprehensive explanation as to why I don’t always receive a Mailer Daemon notice. In all my searching you are the only one to explain this aspect of Mailer Daemons. I tell you, closing a Yahoo! email address is such a massive headache. In the past, when I’ve closed other email accounts, email sent to those closed accounts has “bounced”. This is good, it means anyone I forgot to notify, will know that my old address is no longer working. It also means that I get the reassurance of knowing that the old address has been closed. Not so with Yahoo! I followed the instructions to close my Yahoo! email account. I then sent a couple of test emails to my closed address, expecting them to “bounce”. They did not bounce. I then logged back into my closed address, I know that reopens the account but I had to look; sure enough my test emails were sitting in the inbox, they had not been bounced back to sender. How long does it take before a closed Yahoo! email address starts bouncing messages? This is important to me so I would really like to know. My recommendation is to set up a vacation auto-responder in Yahoo! mail letting people know you no longer use the account, and then close the account and never login again. I have since read your related article, “Desperately Seeking Closure” and now feel a bit foolish, good advice that I came across too late.